Columbia Riverkeeper demands the feds make one of the nation’s largest dams compliant with the Clean Water Act. A lawsuit filed against the U.S. Bureau of Reclamation today alleges that the Grand Coulee Dam in Washington has been leaking toxic oil into the Columbia River for over 70 years. Columbia Riverkeeper, a non-profit organization that aims to protect the Columbia River's wildlife and habitat, filed the civil suit, demanding the Bureau make one of the nation's largest dams compliant with the Clean Water Act. If the lawsuit is successful, the bureau will have to "reduce toxic pollution, switch to eco-friendly oils, and disclose oil discharges to the public," according to a Columbia Riverkeeper press release put out today. Mike Williamson of the Bureau's Pacific Northwest public affairs office declined to make a statement on the lawsuit. "We cannot comment on any ongoing litigation," Williamson said. Columbia Riverkeeper settled a similar lawsuit in 2014 against the Army Corps of Engineers, which oversees the majority of Columbia and Snake river dams. As a result of the lawsuit, the Corps has begun testing the viability of using eco-friendly lubricants, like vegetable oil, for its eight largest dams. 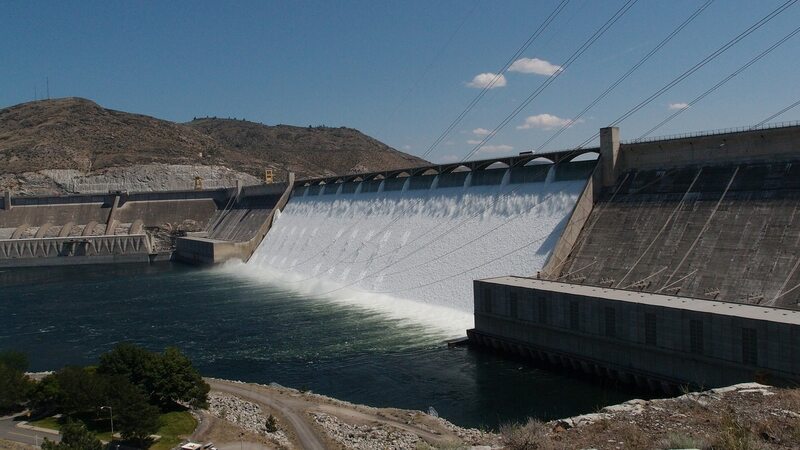 "The Grand Coulee Dam lawsuit is the next phase in the work to protect clean water and eliminate toxic pollution from dams," said Marc Yaggi, executive director of the Waterkeeper Alliance, in the Columbia Riverkeeper press release. According to the Bureau of Reclamation, the Grand Coulee's power production plants are among the largest in the world and supply power to 11 western states, including Oregon. The dam is the centerpiece of the Bureau's Columbia Basin Project, which produces about $1.2 billion worth of hydropower annually. Julia is a recent University of Oregon grad who doesn't know a thing about football. She's always open to podcast recommendations and advice about where to meet cute dogs.